The day after my birthday I attended an art showcase with my oldest sister Ogechi of 2 Snaps & A Twirl ( don't you just love her blog name!) I had an amazing time! The showcase consisted of Fashion Designers, Photographers, Dancers, Singers, Artists, basically anything that could be considered as a form of art was displayed. I took tons of pictures at the showcase and plan on posting more about the event in a future post. Before arriving to the venue we found some time to snap a couple of pics of what I wore. You hair gives me all of the life there is to give, you flawless human. Yes! Love the big hair! 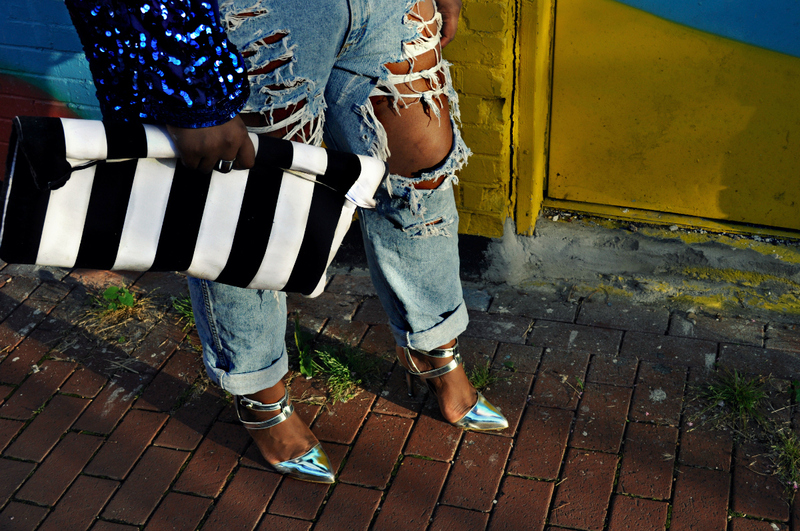 Sequins and ripped denim, perfect combo! Beautiful love everything from the hair to your shoes! 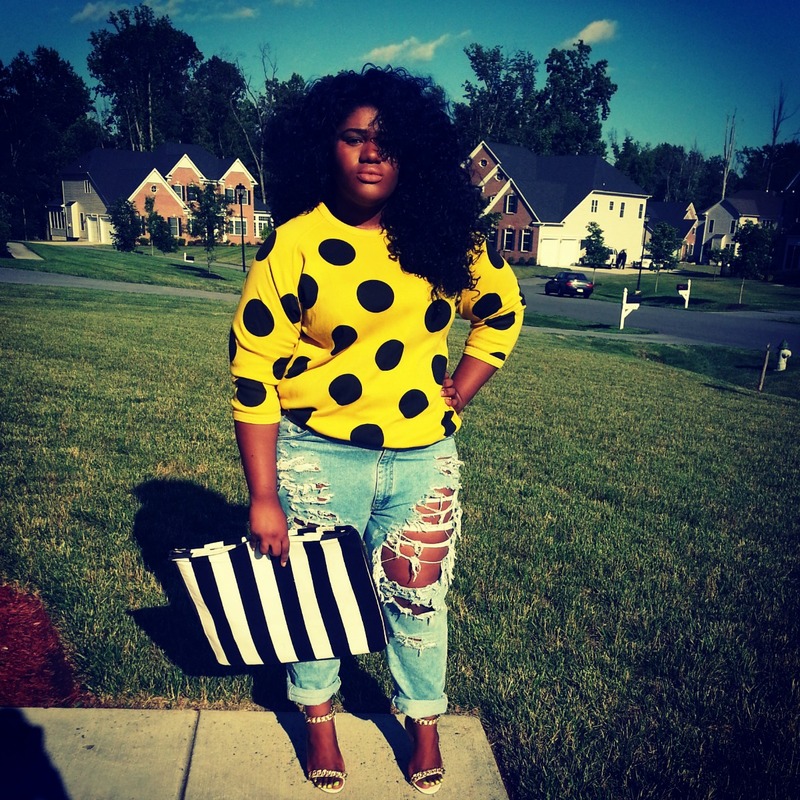 Girl....I swear you rock it each and everytime you post an outfit! 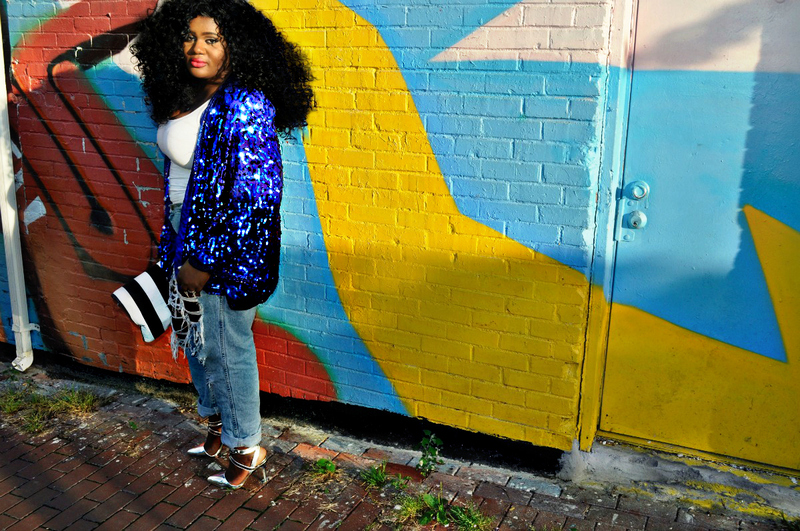 Love everything from the big hair, to the shoes and the bag!! Keep it up! omg this is just fierce! everything looks amazing from the top of your head down to your feet! You look nice, Amarachi! 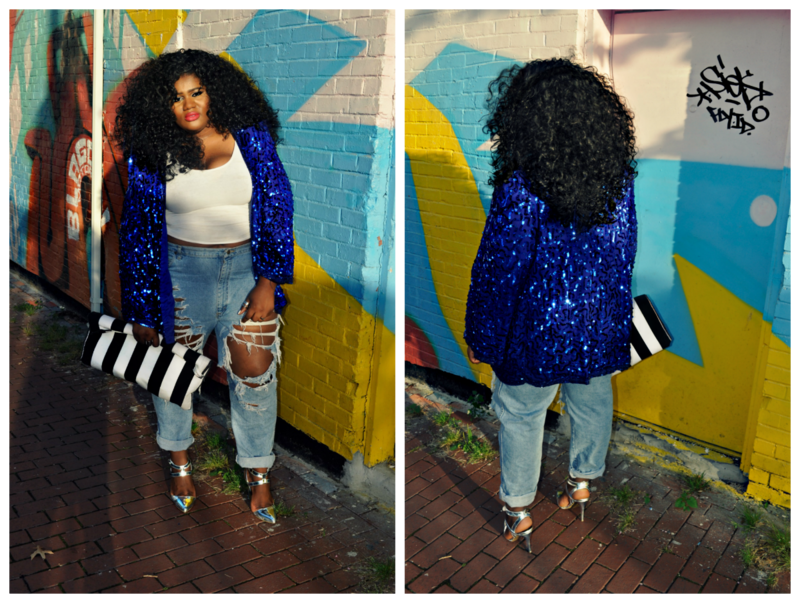 LOOOOOVE the blue sequin jacket. Just loves it. I have a oversized black sequin jacket, too. Worn it once with slim jeans but now I'm tempted to rock it again with something a bit looser at the bottom. 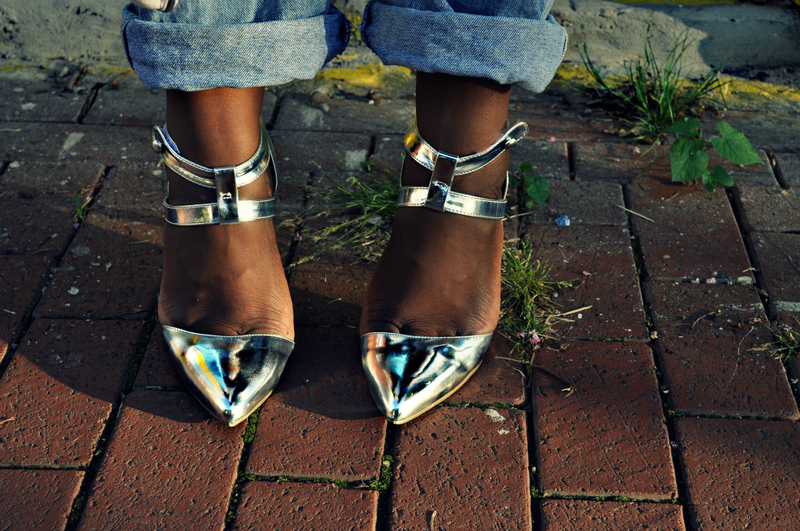 And those metallic sliver heels? Yes. AAAAAAAHHHHHHH!!!!! I am dying over this outfit right now!!! LOVE IT! Your hair, your jacket, those jeans. A-maze. 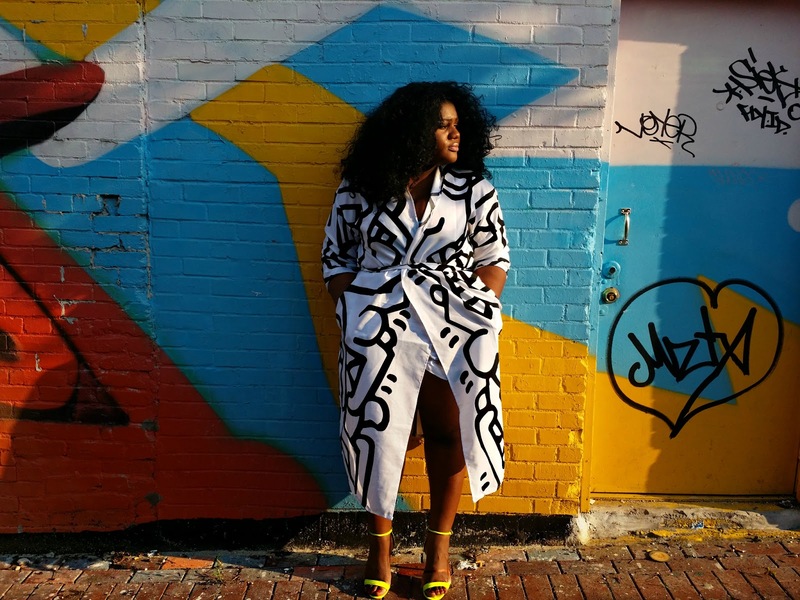 That jacket is amazing and I also love your hair! This jacket is insane! Not something I'd pick up but works well for you and works incredibly in this specific look. <3 it.